Take a break from the reliable amenities offered by hotels and go on an adventure you’ll never forget. Ireland is brimming with unique Airbnb and bed and breakfast experiences, from a night spent floating on a houseboat to a getaway to your own private island. 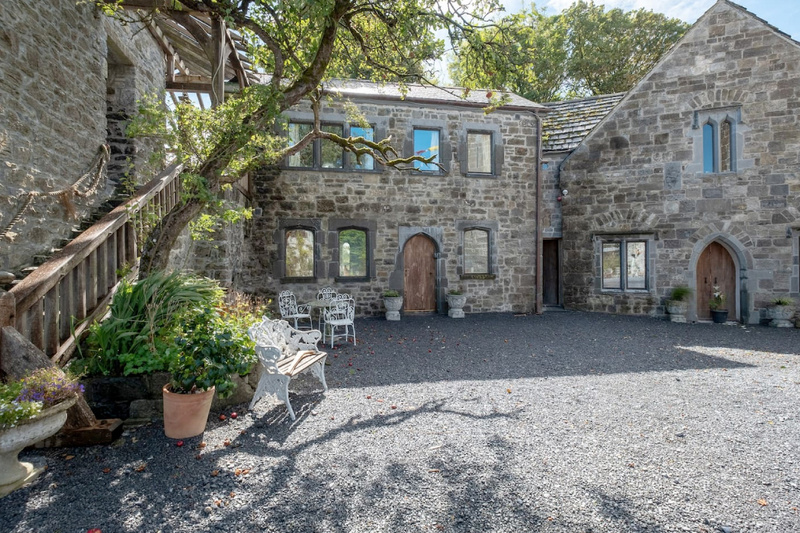 Renovated castles, pubs and churches as well as kitschy cabins, bohemian wagons and luxury yachts are dotted throughout the country and the Wild Atlantic Way is scattered with some of the finest holiday rentals. Built in 1933, this classic little ship offers a stay like no other. The boat is moored on the Long Walk, giving you easy access to the bustling city centre while also providing a solace from the chaos of Shop Street. There’s central heating to keep you warm, a bathroom to keep you clean and a kitchen to keep you fed. Allow the gentle rocking of the waves to lull you into a deep slumber and – who knows – you might wake up with a sudden urge to become a sailor. Docked in a secure marina in the heart of the City, the Atlantic Blue is just a hop, skip and jump from some of Galway’s most vibrant pubs, restaurants and nightclubs. Lie back and relax watching the sun go down on Galway Bay on the yacht’s spacious deck sipping a can of cider or a good aul cuppa tae. As if that’s not enough, these Superhosts also offer a sailing excursion that will provide you with the most spectacular views of Galway’s rugged coastline you could imagine. If you want to experience a night straight out of a fairytale, this is the place to go. The rooms are located directly adjacent to Claregalway Castle, a peaceful medieval gem on the banks of the River Clare. Winding staircases and luxurious bedding, exquisite surroundings and a tranquil ambience – this is a place of dreams. They’ve even got complimentary wine and a very generous continental breakfast for crying out loud. Erected in 1648 by the Kirwin Family, one of Galway’s 12 Tribes, Cregg Castle is set on 180 acres of idyllic pasture and woodlands. Explore the breath-taking grounds of the castle while appreciating the the effort your host, artist Alan Murray, has put into restoring its original beauty. There is an inexplicable charm about this place. Chill out in the back garden with their pony Arrow and donkey Houdini, who are always up for a chat. There’s even have a natural spring well, where they source their water! The magical nature of the castle still lingers. Step back in time on the grounds of Kilcolgan Castle. The welcoming atmosphere will make you feel right at home as you explore the picturesque grounds, meeting cats, horses, hens, wild birds and champion greyhounds on your travels. You can browse through their extensive library, packed full of ancient reads, and unwind in front of a roaring open fire. The tranquil nature of the location will make sure that you leave refreshed and fulfilled. No waste, eco-friendly and cost effective. 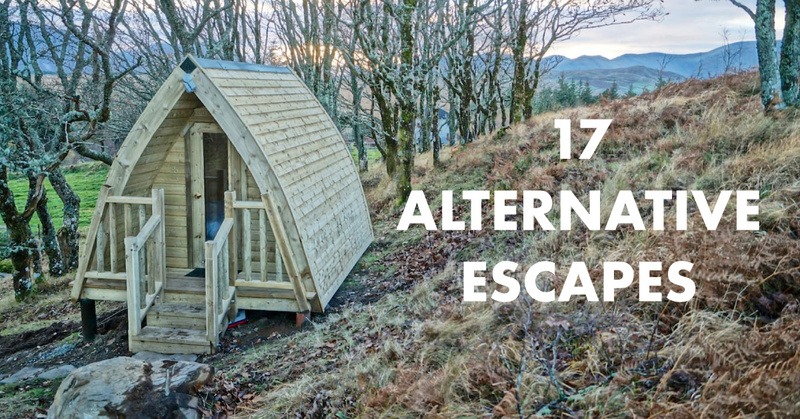 If that doesn’t already tick all your boxes, this eco pod is located just one mile from the medieval town of Athenry, steeped in historical and cultural significance since it played an important part in the 1916 Rising. The pod is designed for compact, eco-friendly living and is entirely self-contained. With access to the house grounds and forest area, this is glamping at its finest. This 200-year-old church, located on the edge of Dunsandle, has a unique, fresh and homely feel to it. 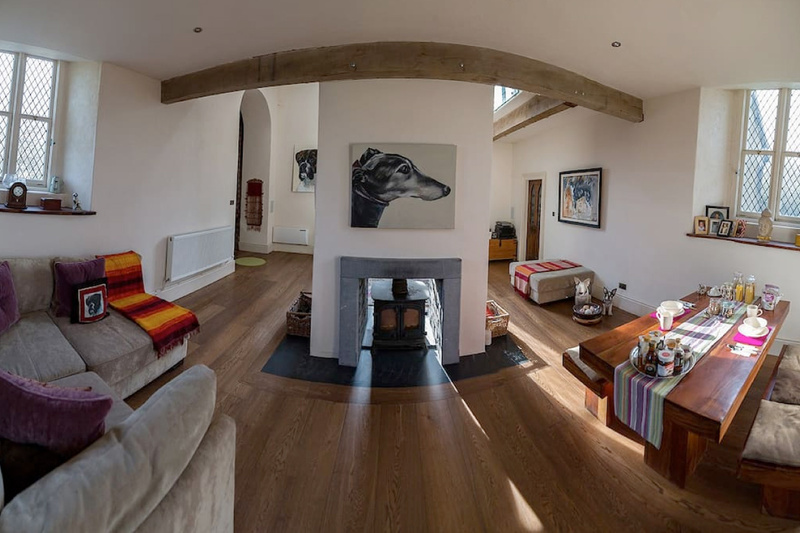 The ancient, rustic exterior brilliantly juxtaposes the quirky and modern interior (we love that Greyhound illustration!). Guests will have access to the bell tower and reading room, each with fabulous views of the surrounding countryside. The private bathroom even has a claw-foot bathtub so come on! What more could you want? With wood-burning stoves, solar powered lights and composting toilet, a stay in this cabin is as good for the planet as it is for you. The cosy cabin is super bright, with many sky lights and windows. The quirky blue exterior is enough to lift your spirits on arrival! In the mornings you can drink in the sunshine with a cup of coffee on their outdoor deck and in the evenings you can whip up a meal on their patio barbecue. You’ll be surrounded by the beauty of nature, with flowers, shrubs and herbs to pick from if you’re cooking. Spend the night in the master bedroom in the highest room of a lovingly restored castle straight from a story book. The solid stone castle features a huge open fireplace and underfloor heating courtesy of their pet Dragon living in the dungeon! Over 600 years old, this castle is filled with many quirks so you can expect lots of winding staircases, some cobwebs and a perfectly imperfect stay to rival any night away in a hotel. Hop aboard a lake boat to bring you the 5-minute spin as far as your very own private island. Nestled into the middle of Lough Corrib, this charming fishing lodge dates back to 1907 and provides a tranquil escape from the stresses of the real world. It’s just you and a flock of sheep on this 26-acre island, so it doesn’t get any more secluded than that. For those who love the calming nature of fishing, the ultimate base is right on your doorstep – so make sure to bring the rod. 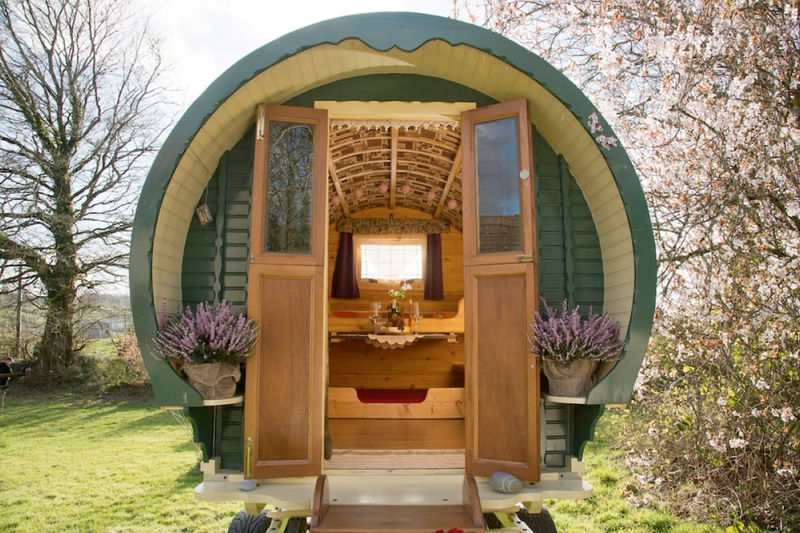 Explore woodland trails, unwind in a wood-fired hot tub and retreat into the peaceful confines of a beautifully handcrafted wagon, nestled on a hillside adjacent to Slieve Aughty. Soak up the picturesque rural landscape where you can recharge your batteries and gaze up at the star-lit night sky. A bohemian escape second to none, these pictures speak for themselves. Enjoy the views of the rugged Connemara landscape from the loft window of Foxglove Homestead. During your stay you will be consumed by the Irish wilderness with no other sounds than grazing sheep, a bumblebee flying by or some playing children in the background. You’ll have access to the 15 acres of homestead that run down to a lake perfect for swimming and fishing. Who knows, you might just find something to harvest and enjoy at dinner time. If you like camping with a touch of luxury, these glamping pods are the place to stay. Situated in a small natural oak forest, this peaceful retreat offers the ideal location to venture into the surrounding mountains, while also being close by the Connemara National Park, beautiful beaches and the Western Way walking route. Pour yourself a glass of wine and relax on the small porch under the stars. When you swing open the door of Conroy’s Old Bar you might think it’s business as usual, but this traditional rural village bar hasn’t served a customer in nearly 15 years. It has been discreetly restored into a quirky self-catering holiday rental. Time has stood still in Conroy’s, still retaining its original charm and character all these years. 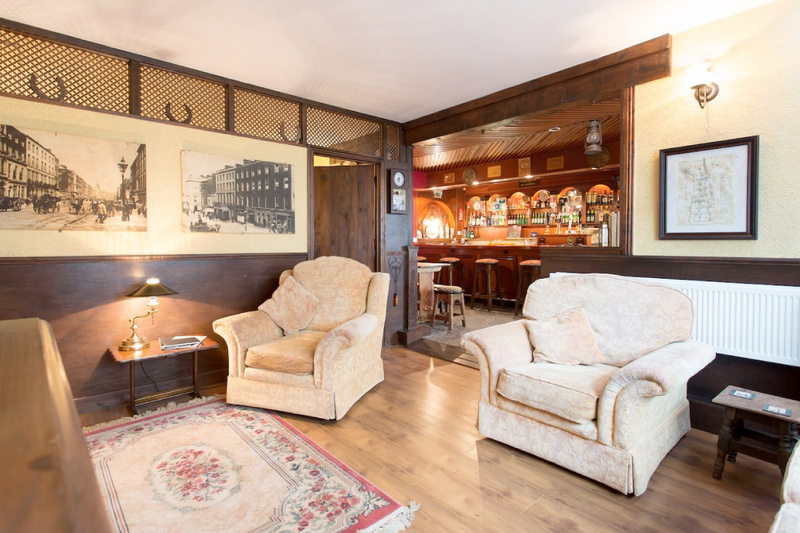 Put your feet up by the cosy log fire and play pub games, read a book or just toast your toes after a long day of taking in the surrounding sights. The Heron’s Rest is a boutique B&B nestled on the banks of the River Corrib, offering stunning panoramic views of Galway Bay while providing a feeling of idyllic hideaway while still located in the city centre. Heron’s Rest offers three double en-suite rooms as well as a self-catering three-bed house which sleeps five. Within the B&B, each room is enhanced with thoughtful touches and luxurious extras including vintage decanters of fine port, orthopaedic mattresses and an artisan gourmet breakfast. This waterside B&B aim to ensure each guest gets to experience the best of what Galway has to offer. Aran Island Glamping is situated on Inis Mór, right at the mouth of Galway Bay on the Wild Atlantic Way. This location is renowned for its stunning landscape and cultural heritage, so for a slower-paced, more serene get away – this is the place for you. Wild, untamed cliffs, jaw-dropping landscapes and sweeping views will transport you right back to the way Ireland used to be. Glamping offers a realm of luxury to the usual camping experience with the conveniences of a home away from home. 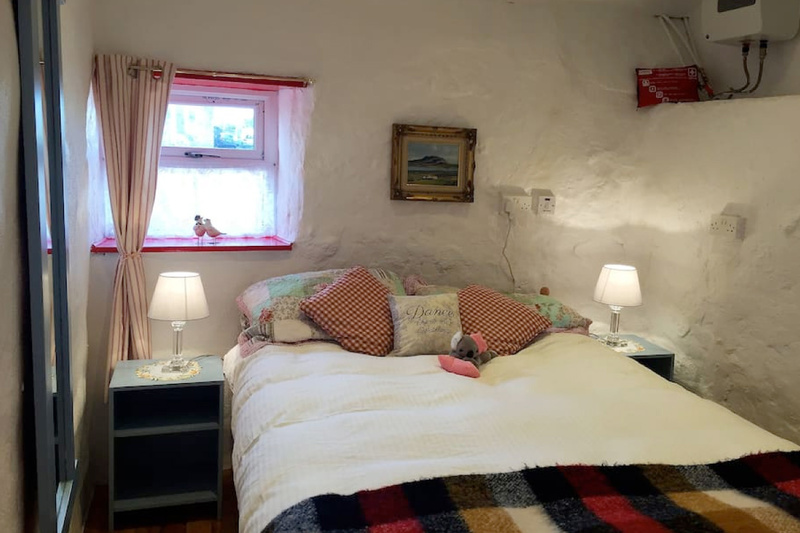 Dating back to the early nineteenth century, Mary’s cosy thatched cottage retains the original charm of Ireland in bygone times. Situated in the village of Carroroe, Connemara’s Irish-speaking Gaeltacht region, the rental is surrounded by country roads, hidden inlets and stunning beaches. Lovingly restored with eco-friendly materials where possible, a trip to Mary’s cottage would be an entirely immersive experience.